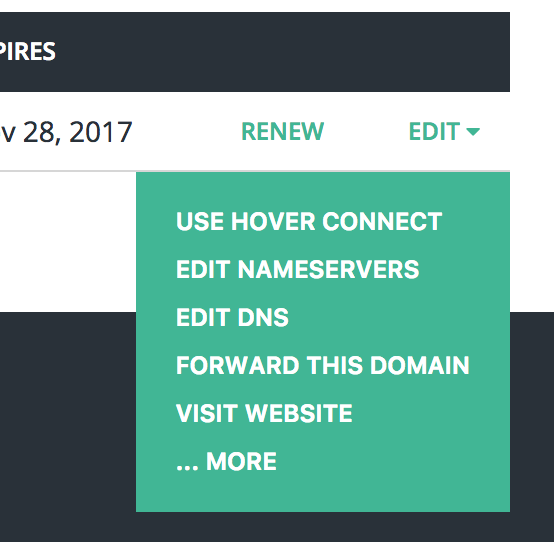 Point your Hover domain to FolioHD by following these instructions. 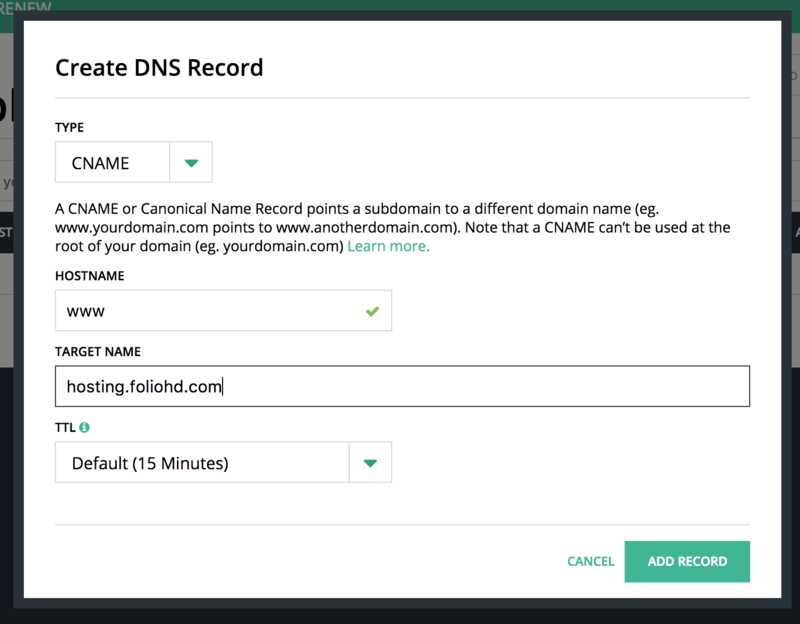 After signing in, click the Edit dropdown on the row of the domain you wish to modify, then choose Edit DNS. In the left-most column, look for records specified as Type: A with Hosts set as @ and www, then delete these records by clicking the X on the right side. 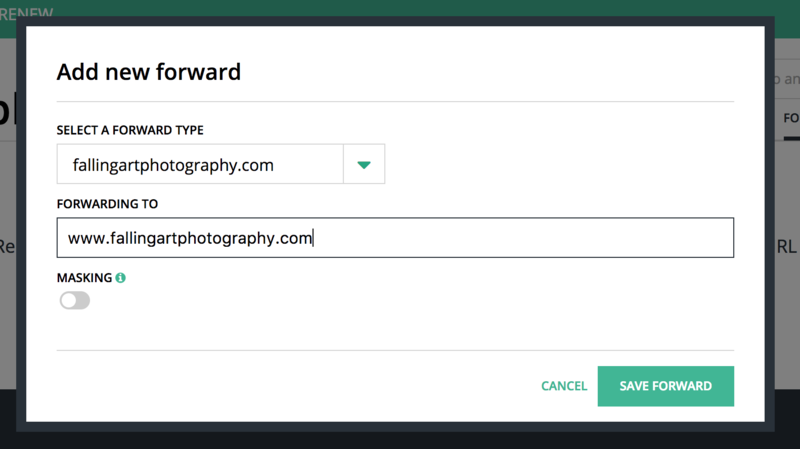 Now click Add a Record and enter the following information into the popup, then click Add Record..
Now click the Forwards tab and add the following forward, then click Save Forward.